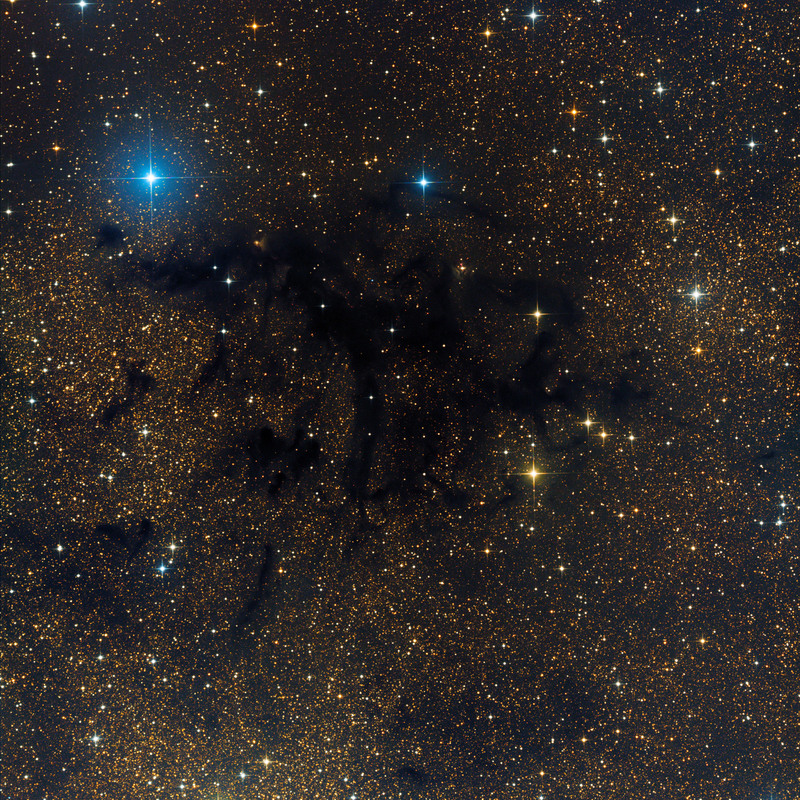 Lynds’ Dark Nebula 673 (or LDN 673) is a very dense and highly fractured dark cloud complex in the Aquila Rift (near to its center). It is located some 400 – 500 light-years from Earth. The Aquila Rift forms a huge mass of dark molecular clouds and consists of numerous small and large nebulae. Many of them have been identified and catalogued in 1962 by B.T. Lynds in his "Catalogue of dark nebulae". Situated against the Milky Way’s faint starlight, LDN 673 contains raw material to form a huge number of new stars. A more detailed image, taken with the 12" ASA Astrograph can be seen here . L:5x10min, R:4x10min, G:4x10min, B:4x10min, Bin 1 Total Exposure Time 170 min.